The Magistrate court judge acquitted the 41-year old Mou’amar Rabyeh from the charges of participating in clashes that broke out in Al-Aqsa Mosque after actual imprisonment and house arrest for three months. Al-Dameer organization lawyer, Mohammad Mahmoud, said that the witnesses hearing session was held on Wednesday in the Magistrate court. While the police were giving their remarks, the contradiction between the witnesses was obvious and the judge acquitted Rabyeh from the charges of throwing stones and empty bottles and injuring an Israeli soldier inside Al-Aqsa. The lawyer added that his client was arrested on 22/03 and was released on 9/4 with a bail and open house arrest conditions, and he was fired from his job in a factory on Atarot due to the false accusation and had lost the job he had since 1999. Stealing the spotlight, Tamim Abu Arqoub ,5, celebrated Wednesday the kindergarten graduation singing for his detained father in Israeli jails " one day you will came back." On this special day for every child , Tamim stood on the stage teary-eyed and celebrated his graduation by singing for the Palestinian administrative detainees. Azam, Tamim's father, has been administratively detained for three years. He declared hunger strike since last April 24.
" l was looking to celebrate this day with my Dad," Tamim said. His mother explained that this day reminded her of his birth day when Tmim's father was serving in Israeli jails. I tried my best to beguile my children in order to ease the effects of his father's absence, she said. Tamim asked the international organizations and human rights to practice their duties in putting an end for his father suffering. On April, 24th, administrative Prisoners started an open hunger strike which continues until this moment calling to revoke Administrative detention, since there are prisoners been detained for more than 5 years. There are still 150 prisoners on hunger strike facing critical health conditions, without any kind of understanding from the Israeli side regardless of the prisoners’ basic human needs. The international campaign for the release of the kidnapped Palestinian MPs called for parliamentary, political, and human rights intervention to pressure Israeli authorities to release Palestinian Legislative Council (PLC) speaker Dr. Aziz Duweik and other PLC members. The campaign said in a press release issued on Wednesday that Israel’s “act of piracy” proves its “criminal mentality” that targets wiping out the Palestinian legitimacy. The campaign sent letters to the Arab, Islamic, and international parliaments and human rights institutions calling for serious action to pressure Israeli occupation to halt its violations of the Palestinian parliamentary immunity. For his part, head of Ahrar center for prisoners studies Fuad al-Khuffash condemned the re-arrest of 50 liberated detainees who were released in Shalit swap deal. In a press release, al-Khuffash said that Israel declared war against Hamas after the detention of its deputies, leaders, and activists, pointing out that Israel violated the agreements reached with Hamas under Egyptian mediation. He called on the Egyptian authorities to intervene to stop the Israeli violations, and he also called on the PA to work for the release of the Palestinians who were recently detained. Al-Khuffash also condemned the Israeli decision on Wednesday to incarcerate 27 Palestinians, who were recently arrested, in administrative detention for different periods. He called on human rights institutions to put an end to the ceaseless Israeli violations of international laws and norms that restrict the use of administrative detention. In its turn, the Palestinian Prisoners Society (PPS) condemned the Israeli arrest campaign waged against the Palestinian people and liberated detainees in particular who were released during Shalit swap deal. Head of the PPS Qadoura Fares told a press conference Israeli recent restrictions and revenge policy reflect the Israeli state of frustration and confusion. Fares warned of Israel’s persistence in its arrest campaign, calling on the international community to intervene and pressure Israel to end its “hysterical arrest campaign”. 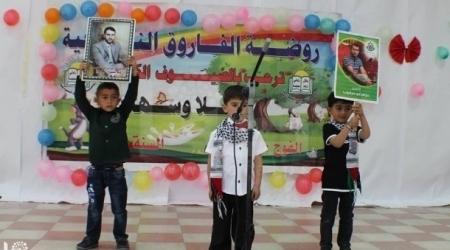 Over two hundred children have gathered in front the International Committee of the Red Cross office, in Gaza, in demand of the release of Palestinian prisoners on hunger strike. Since the hunger strike began, the ICRC has been called to publicly condemn Israel's use of administrative detention, highlight the Palestinian hunger strikers. Addameer Condemns ICRC NeutralityThe ICRC remains silent, yet issued a statement about the disappeared teenage settlers. Since the hunger strike began, the ICRC has been called to publicly condemn Israel's use of administrative detention, highlight the Palestinian hunger strikers. 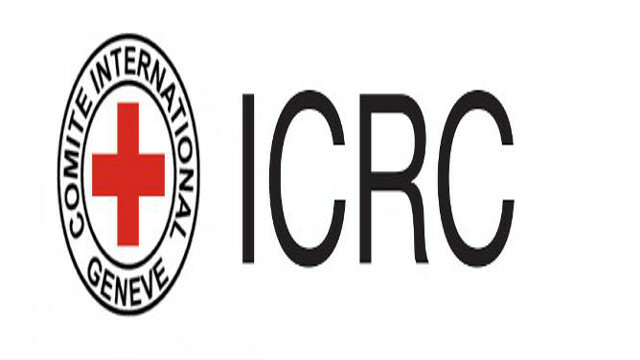 The ICRC remains silent, yet issued a statement about the disappeared teenage settlers. An update on the strikers, and ICRC recommendations. Addameer: Prisoner Support and Human Rights Association is extremely concerned by the lack of intervention on behalf of over 125 Palestinian administrative detainees currently on their 55th day of open hunger strike in Israeli prisons. Addameer is also extremely concerned about the arrest campaign currently underway across the occupied Palestinian territory (oPt) by Israeli Occupying Forces (IOF) following the recent disappearance of three illegal Israeli settlers. 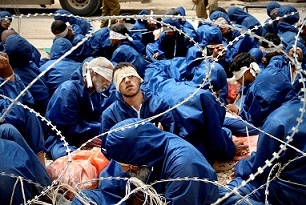 On 24 April 2014 approximately 90 Palestinian administrative detainees launched an open hunger strike in protest of their continued detention without charge or trial. Since the beginning of the strike other administrative detainees, as well as sentenced prisoners, have joined the strike. While it is difficult to determine exact numbers, due to Israeli imposed restrictions and the fluid nature of the strike, it is thought that as many as 250 detainees and prisoners are now on hunger strike. The lack of intervention and relative silence on behalf of the hunger strikers is in stark contrast to the recent disappearance of three illegal Israeli settlers. Since the beginning of the hunger strike there have been calls for the International Committee of the Red Cross (ICRC) to publically condemn Israel’s use of administrative detention and highlight the situation of the Palestinian hunger strikers. Even on their 55th day of hunger strike and as their health continues to deteriorate rapidly these calls have not been heeded and the ICRC continues to remain silent. Yet after only three days of the disappearance of three illegal Israeli settlers the ICRC issued a public statement calling for the ‘release of abducted teenagers’, without any proof whatsoever that they have indeed been abducted. This same ICRC statement completely ignores the wave of arrests and attacks by IOF that are currently underway across the West Bank. The complete and unquestioned acceptance of the Israeli narrative and its almost immediate intervention on behalf of three illegal Israeli settlers, is in stark contrast to its complete public silence on behalf of the Palestinian hunger strikers, and calls into serious question the ‘independence’ and ‘neutrality’ of the ICRC. Furthermore, on 15 May 2014 at a protest outside Ofer Prison in support of the hunger strikers two Palestinian children, 16 and 17 years old, were shot dead by IOF, and yet the ICRC again remained silent. On 15 June 2014, another Palestinian, 20 years old, was shot dead by IOF in Al-Jalazon Refugee Camp in Ramallah, during an arrest operation by IOF. The question then needs to be asked: why does the ICRC publically intervene almost immediately, based on unproven accusations, for Israelis, but remains completely silent when war crimes are being committed against Palestinians? The families of the hunger strikers have also accused the ICRC of failing in its responsibilities towards the hunger strikers through the lack of ICRC visits, including visits from ICRC doctors. There are currently only two ICRC doctors for the over 5,000 Palestinian political prisoners currently held in Israeli jails. The families also accuse the ICRC of failing to provide them with information regarding their imprisoned relatives and have been holding weekly protests outside ICRC offices throughout the oPt for the last two years. Since 12 June over 200 Palestinians have been arrested across the West Bank and are currently being held in various locations. These arrests, along with the accompanying killings and attacks, are a form of collective punishment against the Palestinian people following the disappearance of three illegal Israeli settlers on 12 June. Three people, including a child, were also injured in Hebron on 15 June when IOF blew open the door of their house. A further six people were injured on 16 June by IOF, including one critically after been shot in the chest, at Qalandia check-point, outside Jerusalem. 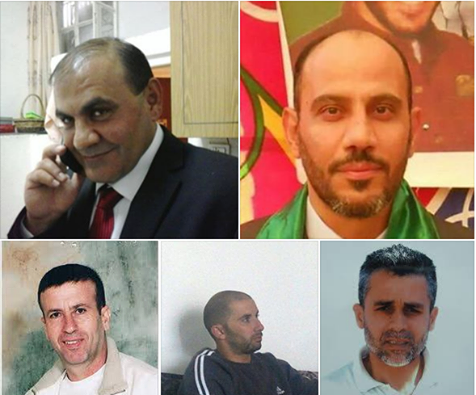 Since 12 June seven Palestinian Legislative Council Members (PLC) have been detained, two of whom have already been placed in administrative detention, which is detention without charge or trial. This brings to 18 the number of PLC members currently being held in Israeli prisons. The health of the hunger strikers continues to deteriorate rapidly. During recent visits by their legal counsel the hunger strikers have confirmed that ICRC doctors did not visit any of the hunger strikers during the first 21 days of their strike and have requested that they are allowed visits by independent medical doctors. The hunger strikers also feel that the ICRC doctors are not giving them enough attention as they usually describe their general situation without giving specific details and they also feel that the ICRC should intensify their visits to hunger strikers being held in hospitals and isolation cells. Currently they are not being allowed access to their medical files by the Israeli authorities. Israeli doctors have also been pressuring the hunger strikers to break their strike. All hunger strikers are rapidly losing weight and some have begun to lose their vision. Other health concerns include low blood pressure; liver problems; high cholesterol levels; and vomiting. In response to the inhumane conditions in which they are being held some hunger strikers are boycotting medical examinations and are refusing to take vitamins. “Our message to the world is that we are peacefully resisting our arbitrary detention, despite the threat the hunger strike imposes on our health...Our bodies are weak, but our determination to end injustice and achieve our demands has never been stronger… According international law, the occupation’s practice of administrative detention is arbitrary and violates all international human rights regulations and laws that call for respecting human beings, their rights, freedom and lives…without international and media pressure nothing will change. The humanitarian side of the issue should be revived; it is not a matter of numbers and years. There are children, sons and daughters, parents and families that are suffering from the raids, arrest processes and administrative detention renewals and everything else that is directly connected to these conditions”. * ICRC to immediately and publically condemn Israel’s use of administrative detention and highlight the current situation of all Palestinian hunger strikers. *ICRC to immediately and publically condemn all recent Israeli violations that have occurred during the current arrest campaign throughout the West Bank. Israeli special forces dressed as Arabs on Wednesday detained a Palestinian who was previously freed in a prisoner exchange deal during a raid on Balata refugee camp east of Nablus. Local security sources told Ma'an that Israeli forces raided the camp in a Mitsubishi car and detained Mahdi Shukri al-Assi, 34, in an alley in the camp. Israeli forces had raided al-Assi's house on Wednesday at dawn, locals said, but he was not home at the time. A number of Israeli special force units known as mistaaravim specialize in dressing up as "Arabs" during raids in Palestinian areas so as not to attract attention. Israeli forces have raided hundreds of homes and detained 300 Palestinian individuals since three Israeli teenagers went missing from a Jewish settlement near Bethlehem last week, the Palestinian Prisoner's Society said in a statement Wednesday. Israeli forces have launched arrest raids across the West Bank since Thursday in retribution for the disappearance, which they say was the result of a Hamas kidnapping. Hebron has born the brunt of the retribution, as a siege was imposed on the southern West Bank region of more than 600,000 over the weekend. More than one-third of the 300 detained were taken during Israeli raids on more than 750 homes in the district. During the raids, Israeli forces damaged properties in the majority of the houses, the Prisoner's Society said, and the infrastructure of a number of homes was damaged in some of the raids. Palestinian Prisoner's Society director in Hebron Amjad al-Najjar said that the arrests have not only targeted Hamas members but all Palestinians. Local sources said that Israeli forces are continuing raids and searches in areas around the Hebron-district villages of Ithna and Dura, and that there is a heavy deployment of Israeli soldiers in Farsh al-Hawa area. The search is reportedly focused in the northwestern regions of Hebron, from where a telephone call to the police from one of the youths immediately after they disappeared was reportedly sourced by the military. In that call, one of the Israeli youths told the police the three had been "kidnapped." The Prisoner's Society said that the 300 detainees include 52 people who were freed in the Shalit prisoner exchange deal with Israel, and 11 Palestinian members of parliament. According to the Palestinian Prisoner's Society, 104 were detained from Hebron, 52 from Nablus, 41 from Ramallah, 37 from Jenin, 16 from Tulkarem, 13 from Qalqiliya, 12 from each of Bethlehem and Jerusalem, 6 from Tubas, 5 from Salfit, and one from Jericho. Additionally, one individual from Balata refugee camp near Nablus was arrested Wednesday night. The Israeli military has engaged in a wide spread search campaign for the missing youths that has morphed into a full assault on Hamas members across the West Bank in recent days. Israeli forces have killed one Palestinians and injured at least seven injured across the West Bank since the campaign began. The attacks have triggered protests in the West Bank and rockets from Gaza, which Israel has bombed almost every night. Israeli Prison Services have begun "punishing" Palestinian prisoners in Israeli jails in response to the disappearance of three Israeli teens in Hebron last week, Israeli media reported on Wednesday. The punishments, which were said to have been ordered by Minister of Internal Security Yitzhak Aharonovich, highlight how wide-reaching the consequences of the disappearance -- which Israeli authorities blame on Hamas -- have been for all Palestinians. Prison services confiscated TVs from the prisoners' cells, prevented them from acquiring newspapers and closed the canteen, according to Israeli news site Ynet. The source added that the prison services are "studying" further punishments that do not contravene the law to implement, and said that the coming punishments will specialize in what he called the prisoners' "privileges." All punishments would be presented to the minister to approve. Minister Aharonovich highlighted earlier that Palestinian prisoners, especially the prisoners of Hamas, will be strictly punished as retibution for the teenagers' disappearance. Visits from the prisoners' families would also be prevented this week. More than 5,000 Palestinians are currently being held in Israeli prisons, including around 200 being held indefinitely without charge or trial. Palestinian resistance factions’ armed wings have confirmed that Israeli continued escalation and threats to the Palestinian people would only boost their determination and steadfastness, saying that they would not stand idle before Israeli violations. In a press conference held in Gaza on Tuesday evening, Palestinian resistance factions declared their total support for any Palestinian resistance effort aimed at liberating Palestinian prisoners from Israeli jails. 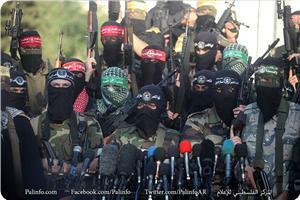 “We stand behind our people in the occupied West Bank in face of the Israeli terrorist aggression. We will not stand idle before Israeli violations and crimes against them as we share the same suffering and the same fate”, the armed wings stressed. The armed wings hailed the steadfastness of the Palestinians in al-Khalil and the West Bank in general and the Palestinian prisoners in Israeli jails in particular. For his part, Palestinian National Initiative Secretary-General Mustafa Barghouthi said that the Israeli recent escalation and attacks in al-Khalil is similar to the Israeli invasion carried out in Palestinian cities in 2002. Following his visit to residents of al-Khalil who are subjected to a fierce Israeli arrest and raid campaign, Barghouthi said that Netanyahu is imitating Sharon-era. Barghouthi led a delegation of Initiative party and visited a number of homes raided by Israeli forces during the past few days including the home of Akram Qawasmi who was prevented along with his two children from being transferred to hospital for treatment after being seriously injured during the IOF raids. Barghouthi confirmed that he witnessed the detention of 25 Palestinians all together in one room, while Israeli soldiers continued stealing laptops and cellular phones. He added that Israeli collective punishment would achieve nothing due to the Palestinian people’s steadfastness. Palestinian administrative detainees continued their hunger strike on Wednesday for the 56th day protesting their illegal detention without trial or charge amid serious deterioration in the health condition of many of them. Ahrar center for prisoner studies said that a senior Israeli official had met with the hunger strikers who confirmed their determination to continue their protest steps till meeting their demands. 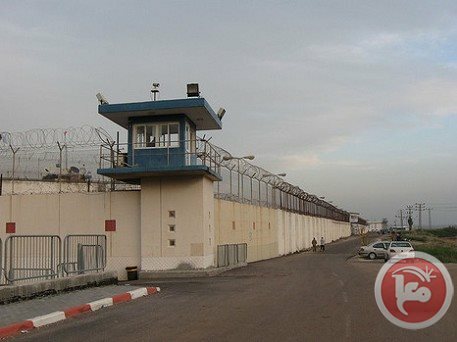 The Israeli senior official called on the prisoners to put an end to their strike, claiming that Israel is living in state of war and hundreds of Palestinians will be held under administrative detention, according to the center. He pointed out that media outlets have largely neglected the prisoners’ hunger strike in light of the intensive and escalated events in the region. Large numbers of hunger strikers have been transferred to hospitals after critical deterioration in their health conditions due to their continued strike. A series of frenzied raids and mass-kidnaps, targeting Wafa al-Ahrar ex-detainees, was launched by the Israeli Occupation Forces (IOF) in different areas of the West Bank at dawn Wednesday and late Tuesday. The Israeli Occupation Authorities threatened to deport all those who were released in the Ahrar deal to the Gaza Strip. The PIC correspondent in al-Khalil said scores of ex-detainees released in al-Ahrar deal, including Bassam Al-Natsha, Ismail Shabana, and Zuheir Iskafi, were arrested during Israeli raids on the city. Other ex-detainees have been rounded up while Palestinians’ homes have been rummaged through during IOF raids on Dura, Beit Ummar, Beit Kahel, and Yatta towns. The Israeli soldiers apprehended ex-detainee Naief Hussein al-Shawamra from Khilet al-Akd, south of al-Khalil, after having attacked his home in a remarkable brutality, Shawamra’s family told the PIC. The Israeli patrols stormed Palestinian homes and shops in the city and blew up most of their entry gates. A media institution was forcibly shut down while other intimidation procedures followed throughout under pretext of searching for the missing soldiers who have disappeared from al-Khalil 6 days ago, local sources reported to the PIC correspondent. Along the same context, eye-witnesses said violent confrontations broke out in Salfit at dawn Wednesday as a number of ex-detainees, released in al-Ahrar deal, were abducted by the heavily-armed Israeli soldiers. More than ten armored military jeeps and troop carriers invaded the city in search for more preys. Similar raids, followed by heavy firing of tear gas canisters on Palestinian youths, have been detected in Nablus at dawn Wednesday. According to bystanders at the scene, a 21-year-old Palestinian civilian was left severely wounded and rushed to Rafidia hospital for treatment after an Israeli military jeep ran over his feet. Ex-detainees Nidhal Abdul Haq and Ahmad Taleb Salwadi, both released in al-Ahrar deal, were also kidnapped. Dozens of Israeli patrols invaded Balata refugee camp, east of Nablus, and arrested the young man Oussama al-Assi after having assaulted his home and reduced most of its property to rubble. Palestinian homes in the area were turned into Israeli control points. Eye-witnesses confirmed to the PIC that dozens of Israeli infantry units raked through the camp. Israeli patrols deployed at the southern entrance to the camp fired sound bombs to force the citizens out. Nablus natives revealed concerns over projected Israeli conspiracies targeting the city, as already disseminated by Israeli media sources. 8 more ex-detainees from Jenin were abducted at dawn Wednesday following a series of arbitrary Israeli raids and home-attacks in the city. Local sources confirmed to the PIC reporter the Israeli soldiers have cordoned off the city for the 3rd day running. Ex-detainees Samer al-Mahroum and Sheikh Abdul Rahman Salah, incarcerated, consecutively, for 28 and 10 years in Israeli jails, were arrested at their homes in Jenin. Other ex-detainees, incarcerated for around 20 years each, were rounded up by the Israeli soldiers following invasions into Jaba’ and Yabad villages, whose main entrances have been blocked with sand barriers by the Israeli bulldozers, forcing Palestinian natives to pass through the military checkpoints set at the main entrance to the town. The Israeli soldiers also invaded Bitouna Tuesday afternoon and raked through it in a provocative manner, with neither prior notification nor specific targets, backed by an Israeli Drone buzzing overhead. The Israeli attacks culminated in the abduction of seven Jerusalemite ex-detainees released in the historic 2011 Ahrar deal. Seven more citizens, including two MPs in the Palestinian Legislative Council, from Ramallah and Bireh were rounded up by the Israeli patrols. In a related event, the IOF arrested four Palestinian civilians, including two 15 year-old-children, from Bethlehem after having attacked their homes and raked through them. The Israeli soldiers arrested Ahmad Jawda, 24, and Khedr Suleiman Radhi following break-ins into the Aida refugee camp, north of Bethlehem. Scores of Palestinian homes have been attacked while civilians, including MPs, were summoned for interrogation in Gush Etzion compound, to the south. Palestinians’ properties were knocked down all along the incursions. Israeli patrols stormed an Islamic school in al-Karkafa area in downtown Bethlehem and smashed its gates and windows before having confiscated a number of laptops and documents. According to security sources in Tulkarem, 8 Palestinian citizens, including 4 Kafin village residents and former detainees, were kidnapped during Israeli raids on the city. As the army continued its invasions and arrests in different parts of the West Bank, and occupied Jerusalem, at least 64 Palestinians were Kidnapped, on Wednesday at dawn, including 51 former prisoners, who were previously released under the Shalit Prisoner Swap Deal. The Palestinians were kidnapped in numerous invasions carried out in various Palestinian communities, including Hebron, Bethlehem, Ramallah, Tulkarem, Jenin and Qalqilia. Media sources said Israel informed more than 40 kidnapped Palestinians, who were previously released under the Shalit deal, that it intends to transfer some of them, if not all, to the Gaza. The latest arrests bring the number of kidnapped Palestinians, since last Thursday at night, to more than 260 Palestinians. The WAFA News Agency has reported the soldiers kidnapped seven former political prisoners in occupied Jerusalem. It said the soldiers invaded dozens of homes and kidnapped Adnan Maragha, from Silwan, Aladdin al-Bazyan from the Old City, Jamal Abu Saleh from Silwan, Ibrahim Abu Mashal from Jabal al-Mokabber, Rajab at-Tahhan from Ras al-‘Amoud in Silwan, Ismael Hijazi from Jabal al-Mokabber, and Nasser Abedrabbo from Sur Baher. Another Palestinian has also been kidnapped in front of the al-Aqsa Mosque, in occupied Jerusalem. In the Hebron District, in the southern part of the West Bank, soldiers kidnapped at least 26 Palestinians, and informed some of them that they will be sent to Gaza, and will not be allowed Bank into the West Bank. In Hebron city, the soldiers kidnapped nine Palestinians after invading their homes and searching them causing excessive property damage. The kidnapped have been identified as Safwan Mohammad al-‘Oweiwy, Abbas Shabana Tamimi, Hijazi Kamel al-Hammoury, 25, Imad al-Qasrawy Tamimi, 28, Jamal Izzat al-Qawasma, 28, Bassam Naim Natsha, Moammar Rashad al-Ja’bary, Zoheir Mustafa Skafi, and Hazem Ibrahim Abu Najma. Four residents, identified as Mohammad Ismael Sweity, Ismael Abdul-Hadi Masalma, Mohammad Ismael Masalma and Hayel Mohammad Sweity, have been kidnapped in Beit ‘Awwa nearby town. In Beit Ola town, soldiers kidnapped four Palestinians identified as Dia’ Aziz Adarba, 25, Mohammad Falah al-‘Amla, Aziz Falah al-‘Amla, and his son Dia’. In Yatta, the soldiers kidnapped Rateb Jabour, Khaled Mousa Makhamra, and Mohammad Issa Makhamra. Resident Hamed Sha’ban al-Hour was kidnapped in Surif, Mohammad Nasr Ezreiqat, 28, was kidnapped in Taffouh, while Mheisin Abdullah Mheizsn, and former political prisoner, Abdul-Mahdi az-Zhour, were kidnapped in Beit Kahel town, north of Hebron. Resident Khalil Al-Helu, from Ithna town, was kidnapped at an army roadblock, while resident Nayef Hasan Shawamra was kidnapped in Doura town. The soldiers fired dozens of rounds of live ammunition and concussion grenades during protests that took place as the army invaded their communities. The army also installed several roadblocks. Soldiers also invaded al-Haqouz area, and searched Beit Kahel Graveyard for more than three times overnight. In addition, soldiers kidnapped several Palestinians in Ramallah, including legislators Ayman Daraghma, Ahmad Mubarak. Nael Barghouthi, who was released in 2011 after spending 33 years in Israeli prisons, has also been kidnapped. Also in Ramallah, the soldiers invaded several homes and buildings, including the office of Trans Media agency, where the al-Aqsa Satellite TV is located, in al-Biereh near Ramallah. Clashes took place between the invading soldiers and local Palestinians. 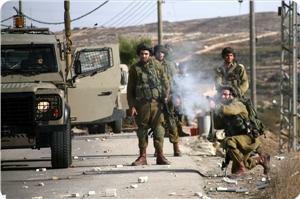 Soldiers also invaded ‘Aboud village, northwest of Ramallah, and Kharabtha Bani Hareth village. Following are the names of some of the former political prisoners, who were release under the Shalit deal, and were rearrested Wednesday at dawn. 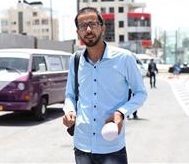 Israeli occupation forces (IOF) arrested Palestinian journalist Yehya Habayeb, from al-Khalil, while covering events in Taffuh village to the west of Ramallah afternoon Tuesday. Eyewitnesses told the PIC reporter that IOF soldiers fired a number of sound bombs at Habayeb before beating him and confiscating his camera and tape recorder then arresting him. The witnesses said that Habayeb was reporting the IOF soldiers’ raid into the village and their break-and-search campaigns when he was attacked. IOF soldiers have escalated attacks on Palestinian journalists while covering events in al-Khalil, the latest was firing live bullets at reporters who were filming the siege laid to a house in the city. Number of Palestinian administrative detainees is expected to double in the shadow of arresting hundreds of Palestinian by Israeli army in the West Bank, Haaretz Israeli daily newspaper reported on Wednesday. 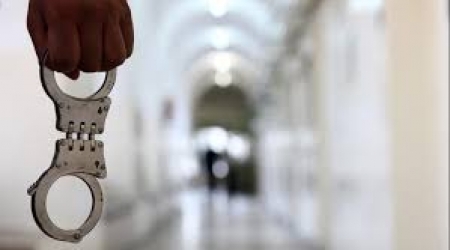 Nearly 200 detainees were arrested since last Thursday; several of them are held in administrative detention without certain charges , the newspaper added. 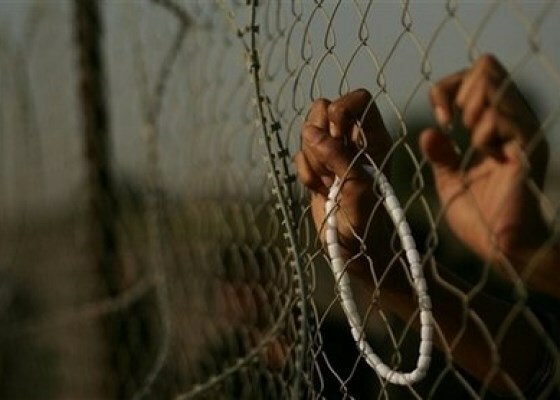 The Israeli government has decided in the last session of the cabinet to tighten the conditions of detention. The Israeli Prison Service (IPS) intends to separate detainees affiliated to Fatah movement from those who are affiliated to Hamas. The punishment actions could include preventing detainees from studying and reducing number of TV channels they are allowed to watch. The IPS will also reduce family visit. .
Israel is holding captive more than 5,000 Palestinians, including 19 women and 200 children; around 567 of the detainees have been sentenced to at least one life term. 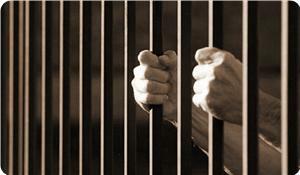 At Least 200 detainees entered a hunger strike battle ,are currently held under administrative detention orders. Since 1967, when (Israel) occupied the West Bank, Gaza Strip and East Jerusalem, more than 650,000 Palestinians have been detained by Israel. This represents approximately 20% of the total population in the Occupied Palestinian Territories (OPT), and 40% of all males. Despite prohibition by international law, Israel detains Palestinians in prisons throughout Israel, far from their families, who almost never obtain the necessary permits to leave the Occupied Palestinian Territories to visit them. Israeli forces arrested some 65 Palestinians across the West Bank overnight, over 50 of which were released as part of the Gilad Shalit prisoner exchange between Hamas and Israel in 2011, sources said Wednesday. 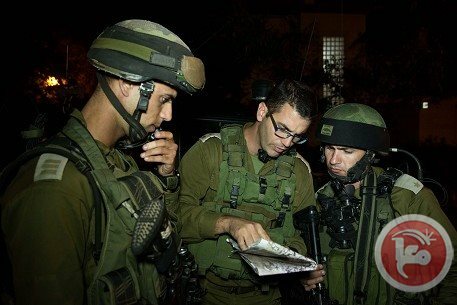 As soldiers entered their sixth day of searching for three missing Israelis, forces raided the Nablus district and arrested a number of Palestinians, security sources told Ma'an. In the village of Beit Furik, Israeli soldiers arrested Zahir Khatatba, while in Deir Sharaf they arrested Luay Najih Nofal. Soldiers also detained Palestinians in the nearby villages of Audla and Tell, arresting Falah Mahmoud Khalil, Ahmad Talib Silwadi, Taha Adel Shakhshir, Muhammad Shawqi Abd al-Nabi, Yaqub Ishtayya, Adham Shalabi, and Iyad Rifai, the sources said. Similarly, Israeli military vehicles stormed Askar refugee camp near Nablus and soldiers ransacked several homes, locals said. Locals told Ma'an that soldiers caused damages in houses in the camp during the raids. In the city of Nablus, soldiers arrested Nidal Subhi Abd al-Haq and clashed with Palestinians in the Rafedia neighborhood. Medical sources told Ma'an that a number of Palestinians were hospitalized after being hit with rubber-coated bullets and inhaling tear gas. Meanwhile, in the Salfit district, Israeli forces detained Othman Ali Hamdan Muslih from the village of al-Zawiya and Imad Abd al-Rahman Hasan al-Ali from Talfit. Both Muslih and al-Ali had been released as part of the Shalit deal. In Jenin, Israeli troops detained Yaqub Kilani, Arif Fakhouri, Abd al-Jabbar Fuqaha, Yaqub Kilani, Arif Fakhouri, Abd al-Jabbar Fuqaha, and Samir al-Mahroum. Soldiers also conducted arrest raids in the Hebron district, where the Israeli army had initially focused its efforts to find the three missing teens. Forces in Hebron detained Safwan Muhammad Uweiwi, Abbas Shabana al-Tamimi, Hijazi Kamil Hamouri, Imad Qasrawi al-Tamimi, Jamal Izzat al-Qawasami, Bassan Naim Natsha, Muammar Rashad al-Jaabari, Zuheir Mustafa Skafi, and Hazim Ibrahim Abu Nijma, locals said. In Beit Awwa in southwest Hebron, soldiers detained four Palestinians -- Mahmoud Muhammad Sweiti, Ismail Abd al-Hadi Masalmah, Muhammad Ismail Madsalmah, and Hayil Muhammad Sweiti. In Beit Ula, Diyaa Aziz Adarbah, Muhammad Falah al-Amla, and his son Diyaa were arrested. In Yatta, Israeli forces detained Ratib al-Jubour, Khalid Mousa Makhamrah, and Muhammad Issa Makhmrah. In Surif north of Hebron, Israeli troops Hamid Shaaban al-Hur. In Beit Kahil in northwest Hebron, Muheisin Abdullah al-Atawnah was detained. Israeli troops also raided Taffuh west of Hebron and detained Muhammad Nasr Salamah Izreiqat. In Dura south of Hebron Israeli troops detained Nayif Hasan Shawamrah. Khalil Awwad al-Hilou from Idhna west of Hebron was detained at an Israeli military checkpoint. An Israeli military spokesperson told Ma'an the army arrested "approximately 65" Palestinians in the West Bank overnight. Palestinian security sources told Ma'an that over 50 prisoners detained overnight were former prisoners who had been released from Israeli jails as a part of the 2011 Shalit deal. The Israeli news site Ynet quoted Prime Minister Benjamin Netanyahu as saying "Hamas terrorists were arrested, including those who were released in the Gilad Shalit prisoner exchange deal." Arresting former prisoners released in the Shalit deal is an "element with an important message that is part of a series of many actions that will continue," Netanyahu was quoted as saying. The "goal is to retrieve the kidnapped teens and harm the Hamas movement," he reportedly said. On Oct. 18, 2011, Israeli soldier Gilad Shalit was released in exchange for 1,027 Palestinians held in Israeli prisons. Shalit was snatched in June 2006 by a group of Hamas members and other armed groups who snuck into Israel through a tunnel and took their prisoner back to Gaza the same way. Hamas feted the lopsided prisoner swap as a major victory. Three Israelis, aged 16-19, disappeared from an area near the illegal settlement of Gush Etzion late Thursday. Israel has blamed Hamas for kidnapping the teens, but the Islamist movement has denied involvement. Palestinians have decried Israel's response to the disappearance -- a West Bank military search campaign that has seen hundreds arrested, several injured, and one killed -- as "collective punishment." Israeli occupation forces arrested on Wednesday at dawn 51 ex-detainees who were released in shalit swap deal and threatened to deport them to the Gaza strip, Ahrar center reported. The 51 arrested ex-prisoners are part of 64 were arrested last night across the West Bank including MPs Ayman Daraghmeh, and Ahmed Mubarak. Arrest toll rose to 250 Palestinians in the last four days. "Violating the agreement signed with Hamas and brokered by Egypt in 2012, Israel has waged a war against Hamas movement by arresting dozens of its prominent political figures and members," director of Ahrar center Foa'ad al-Khafash told Safa News Agency . 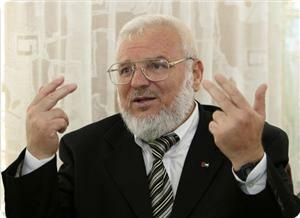 Al-Khafsh said that Israel disrespected Egypt and did not keep its promise not to arrest Hamas political figures. 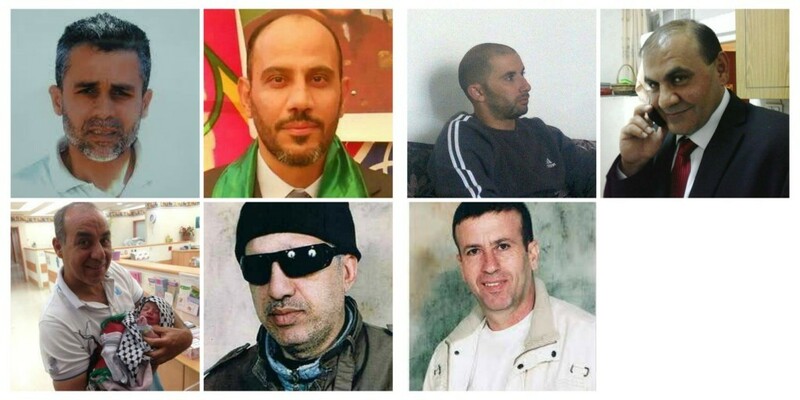 Names of rearrested ex-prisoners: Wael Barghouti, Nidal Zaloom, Hamza Abu shank, Taha Shakhsher, Abdel Moneim To’me, Majdi Ajula, ‘Ayed Hrshah, Mohammed Reshseq, Safwan Oweiwi, Zuhair Skafi, Mohamed Rashad Al-Jabari, Nidal Abdul Haq, Ahmad Awawda, Bassam Naim Natshe, Othman Musleh , Aladdin Alpazian, Jamal Abu Saleh, Ismail Masalmah, Mohamed Barakat, Mahmoud Sweiti, Adnan Mragmh, Ibrahim Mashaal, Adnan Diab, Shadi Zaid, Abbas Shabana, Ahmed Silwadi, Abdul Rahman Salah, Imad Fatuna, Jacob Kilani, Aref Fakhoury, Abdul-Jabbar Fuqaha’, wahib Abu Rub, Rajab Tahan, Muammar al-Jabari, Zaher Khatatba, Ashraf Wawi, Rabe’ Barghouti, Abdullah Abu Hbak, Amer Mokbel, Khadr Radi, Louay Nofal, Wael Abu Jalboush, Fawaz Al Jaber, Rasmy Mahareik, Imad Musa, Samer Mahroum, Tariq Qawzah, Yosuf Steitieh and Fayez Jaber. The Israeli forces arrested on Wednesday early morning seven Jerusalemites freed prisoners who were released within the “Shalit” agreement between Hamas and Israel under the Egyptian supervision in 2011. Ibrahim Abdelrazeq Ahmad Mashal from Jabal Al-Mukabber who spent 20 years in the Israeli prisons while serving a life sentence. Ismaeel Abdullah Mousa Hijazi from Jabal Al-Mukabber. Jamal Hammad Hussein Abu Saleh from Silwan/ Dung Gate who spent 23 years inside the occupation prisons while serving a 38-year prison sentence. Rajab Mohammad Shihadeh Tahan from Ras Al-Amoud who spent 14 years in prison and was sentenced for life in prison. Adnan Mohammad Ata Maragha from Silwan who spent 22 years in prison. Ala’ Eddin Ahmad Rida Bazian from the Old City of Jerusalem who spent 30 years in the Israeli prisons and was sentenced for life in prison. Naser Mousa Ahmad Abed Rabbo from Sur Baher who spent 23 years in prison and was sentenced for life in prison. Israeli online daily, Haaretz, has reported that Israeli ministers held an urgent meeting, and decided to worsen the conditions of imprisoned Hamas members, held in various Israeli prisons and detention camps, and that the government is examining the possibility removing Hamas leaders from the West Bank to the Gaza Strip. 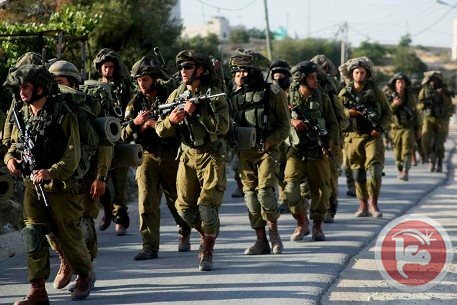 It said that the army has kidnapped around 200 Palestinians since the three Israeli settlers went missing, believed to have been abducted, last Thursday. Haaretz quoted a senior Israeli military official stating on Tuesday at night that Hamas “shot itself in the leg” instead of saving itself through the Palestinian reconciliation deal, and the unity agreement recently signed with Fateh party and several other political groups, paving the way for an interim government that would prepare for elections. His statements contradict all statements, and actions, made by Prime Minister Benjamin Netanyahu, his Defense Minister, and various Israeli ministers and government officials who shunned the Palestinian Authority, and initiated sanctions against it, in addition to initiating an international campaign to isolate it, after the unity deal was signed. The Central Command of the Israeli Military stated this is the first time in many years that the army is extensively deployed in the West Bank, with thousands of additional forces operating there, mainly in the Hebron district, in the southern part of the occupied West Bank. Central Command officials said the operation is largely targeting members of the Hamas movement, but is not excluding members of various other groups. The army also confiscated computers, cellphones, surveillance equipment and tapes, in an attempt to find any clues about the missing Israelis. The soldiers have also kidnapped many children, brothers, fathers and their sons, while the army continues to invade hundreds of Palestinian homes in Hebron, Nablus, Jenin, and many other parts of the occupied West Bank. The Ahrar Center for Detainees Studies and Human Rights has reported that the soldiers invaded, on Monday at night more than 240 Palestinian homes, including homes of former and current political prisoners, and political leaders. 140 of the invaded homes are located in the Hebron district. Head of the Ahrar Center Fuad Al-Khuffash said that ten of the recently kidnapped Palestinians received arbitrary Administrative Detention orders, holding them in detention for different extended periods without charges or trial.